OKCU students in Exercise and Sports Science put what they learn to work as undergraduates. 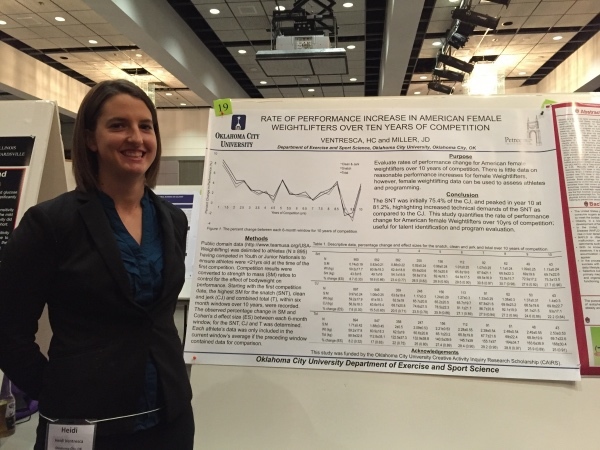 Heidi Ventresca presented her poster at the Central States meeting of the American College of Sports Medicine. Her project was a CAIRS funded project. You can also view her poster here. Heather Rasmussen's student project last year was a series of resistance exercises she demonstrated on her YouTube channel, including the ones below.